a) Ethics and Human Values Examination is proposed to be conducted on 28th January, 2019 (Monday) from 10.00 A.M. to 1.00 P.M. as was done earlier. b) Environmental Education Examination is proposed to be conducted on 31-01-2019 (Thursday) from 10.00 A.M. to 1.00 P.M. as was done earlier. c) The Practical Examinations are proposed From 01-02-2019 (Friday) to 20-02-2019 (Wednesday) (including Sundays) for both General and Vocational courses. So Above We Have Provided TS Inter 1st & 2nd Year Time Tables March 2019 - General & Vocational Courses For Telangana State. 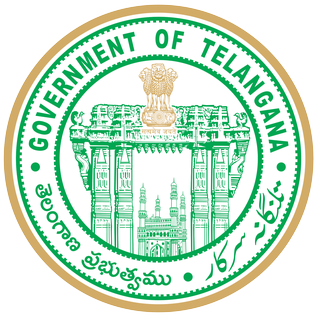 So Students Who Are Studying In Any Telangana State Can Now Check & Download TS Inter 1st & 2nd Year Time Tables March 2019 - General & Vocational Courses Official Notification. So, Above You Can Get Complete Info Regarding TS Inter 1st & 2nd Year Time Tables March 2019 - General & Vocational Courses . You Can Simply Bookmark This Page As Well In Order To Check All Info Regarding TS Inter 1st & 2nd Year Time Tables March 2019 - General & Vocational Courses In The Future As Well. So Do Book Mark Our INJNTU.COM Page & Install Our Android App To Get All Notifications About Updates & Results Directly On Your Mobile Phone. Don’t Forget To Share This Info RegardingTS Inter 1st & 2nd Year Time Tables March 2019 - General & Vocational Courses. Among All Your Friends & Colleagues. Make Them Check Their Info Regarding TS Inter 1st & 2nd Year Time Tables March 2019 - General & Vocational Courses Also Share This Info On Your Social Media Pages.